Sauder Village in Archbold will hold Community Health Day/Fulton County Appreciation Day on Saturday, Oct. 20. Health and safety professionals from throughout the region will gather at Sauder Village in Archbold on Saturday, Oct. 20, for the annual Community Health Day. It’s also Fulton County Appreciation Day, with free admission for all residents. Health and safety professionals from throughout the region will gather for the event, which will feature informational displays, health screenings, and door prizes. Community Health/Fulton County Day is being sponsored by the Fulton County Health Center. Representatives from the facility’s departments will be on hand to share information on diabetes education, endoscopy, behavioral health, obstetrics, oncology, radiology, sleep lab, and wound care. Free screenings are also planned throughout the day. Guests can explore a variety of fire and rescue vehicles and learn about train safety, poison control, and drug, alcohol, and gambling addictions. Local agencies will share information about college programs, adult/child services, home health care, trauma services, health/safety equipment, and mental health services. Free child finger printing will be offered by local law enforcement, and many participants will offer special prizes throughout the day. Local agencies assisting to make the event possible include FCHC, Alzheimer’s Association of Northwest Ohio, Ohioans Home Healthcare, Fulton County Health Department and Fulton County Fireman’s Association/EMS, police departments, and the Fulton County Sheriff’s Office. Other local partners include Fairlawn Retirement Community, Operation Lifesaver, Bath Fitter, Frank Wheeler Chiropractic, Recovery Services of Northwest Ohio, and Sara’s Garden. Also participating are Tri State Medical Supply, Fulton County Job and Family Services, Northwest State Community College, the University of Toledo Medical Center, and the Four County ADAMhs Board. Free admission to county residents on Fulton County Appreciation Day is provided by FCHC. Residents must present a driver’s license or other form of identification that verifies residency. 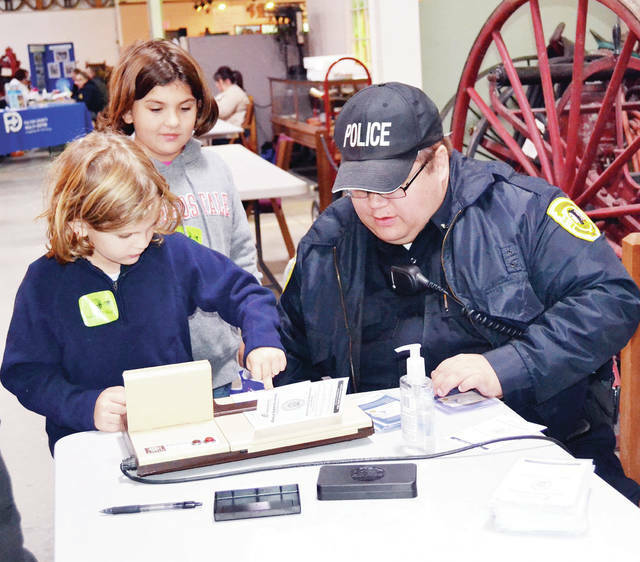 “The County Days events have been a great way to encourage people in local communities to visit and see all the changes that have taken place over the years,” Krieger said. Upcoming Sauder Village events include Fall Family Fun Nights on Oct. 19-20, by reservation only; and the Woodcarver’s Show and Sale Oct. 27-28. For more information on Community Health Day/Fulton County Day, call 1-800-590-9755 or visit www.saudervillage.org. https://www.fcnews.org/wp-content/uploads/sites/45/2018/10/web1_sauder-health-day.jpgSauder Village in Archbold will hold Community Health Day/Fulton County Appreciation Day on Saturday, Oct. 20.